Dabur India Limited is a leading Indian consumer goods company with interests in Hair Care, Oral Care, Health Care, Skin Care, Home Care and Foods. From its humble beginnings in the bylanes of Calcutta way back in the year 1884 as an Ayurvedic medicines company, Dabur India Ltd has come very much a long way today to become a leading consumer products manufacturer in India. For the past 125 years, the organisation have been dedicated to providing nature-based solution for a healthy and holistic lifestyle. Through the most comprehensive range of products, it has touched the lives of all consumers, in all age groups, across all social boundaries. And this legacy has helped them develop a bond of trust with consumers. That guarantees you the best in all products carrying the Dabur. Dabur's Health Care range brings for you a wide selection of Ayurvedic and natural products that offer complete care for varying individual needs. Their products are derived from the time-tested heritage of Ayurveda, and backed by the most modern scientific test and trials that ensure unfailing quality and safety in anything you pick. Dabur Group is a basket including personal care, health care and food products. Dabur India Limited has set up subsidiary group Companies across the world that can manage its businesses more efficiently, given the vast range of products, sourcing, production. The story of Dabur began with a small, but visionary endeavour by Dr. S. K. Burman, a physician tucked away in Bengal. His mission was to provide effective and affordable cure for ordinary people in far-flung villages. With missionary zeal and fervour, Dr. Burman undertook the task of preparing natural cures for the killer diseases of those days, like cholera, malaria and plague. Soon the news of his medicines travelled, and he came to be known as the trusted 'Daktar' or Doctor who came up with effective cures. And that is how his venture Dabur got its name - derived from the Devanagri rendition of Daktar Burman. When the Founder Dr. S. K. Burman first established Dabur, he had a vision that saw beyond the profit motive. In his words, "What is that life worth which cannot bring comfort to others". This ideal of a humane and equitable society led to initiatives taken to give back some part of what Dabur has gained from the community. Major initiatives in the social sector include mostly the establishment of the Sustainable Development Society, or Sundesh, in 1993 - a non-profit organisation to promote research and welfare activities in rural areas. Promoting health and hygiene amongst the underpriviledged through the Chunni Lal Medical Trust and organising the Plant for Life programme for schoolchildren - to create environmental awareness amongst young minds. The Organization had set up the "Plants for Life" project in the mountainous regions of the Himalayas. Under the project, a high-tech greenhouse facility has been set up for developing saplings of rare and endangered medicinal plants. Fully computer-controlled and monitored, this greenhouse maintains the highly critical environmental parameters required for their survival. The company is also developing quality saplings of more than 20 herbs, 8 of them endangered, through micro propagation. In addition, satellite nurseries spread across mountain villages and contract cultivation of medicinal herbs helps in maintaining the ecological balance. These measures have also helped provide local cultivators the scientific knowledge for harvesting herbs and a steady source of income. In the year 1884 the organization was established by Dr. S K Burman at Kolkata. 1896 - First production unit established at Garhia. 1919 - First R&D unit established - Production of Ayurvedic medicines Dabur identifies nature-based Ayurvedic medicines as its area of specialisation. It is the first Company to provide health care through scientifically tested and automated production of formulations based on our traditional science. 1930 - Automation and upgradation of Ayurvedic products manufacturing initiated. 1936 - Dabur (Dr. S K Burman) Pvt. Ltd. Incorporated. 1940 - Personal care through Ayurveda. Dabur introduces Indian consumers to personal care through Ayurveda, with the launch of Dabur Amla Hair Oil. So popular is the product that it becomes the largest selling hair oil brand in India. 1949 - Launched Dabur Chyawanprash in tin pack widening the popularity and usage of traditional Ayurvedic products continues. The ancient restorative Chyawanprash is launched in packaged form, and becomes the first branded Chyawanprash in India. 1957 - Computerisation of operations initiated. 1970 - Entered Oral Care & Digestives segment addressing rural markets where homemade oral care is more popular than multinational brands. Dabur introduces Lal Dant Manjan. With this a conveniently packaged herbal toothpowder is made available at affordable costs to the masses. 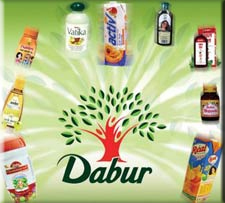 2000 - The 1,000 crore mark Dabur establishes its market leadership status by staging a turnover of Rs.1,000 crores. Across a span of over a 100 years, Dabur has grown from a small beginning based on traditional health care to a commanding position amongst an august league of large corporate businesses. 2003 - Dabur demerges Pharmaceuticals business Dabur India approved the demerger of its pharmaceuticals business from the FMCG business into a separate company as part of plans to provider greater focus to both the businesses. 2005 - Dabur aquires Balsara - As part of its inorganic growth strategy, Dabur India acquires Balsara's Hygiene and Home products businesses, a leading provider of Oral Care and Household Care products in the Indian market, in a Rs 143-crore all-cash deal. 2005 - Dabur announces bonus after 12 years - Dabur India announced issue of 1:1 Bonus share to the shareholders of the company, i.e. one share for every one share held. The Board also proposed an increase in the authorized share capital of the company from existing Rs 50 crore to Rs 125 crore. 2006 - Approves FCCB/GDR/ADR up to $200 million- Moving forward on the inorganic growth path, Dabur India decides to raise up to $200 million from the international market through Bonds, FCCBs, GDR, ADR, QIPs or any other securities.The capital raised will be used to fund Dabur's aggressive growth ambitions and acquisition plans in India and abroad. 2007 - Foray into organised retail - Dabur India announced its foray into the organised retail business through a wholly-owned subsidiary, H&B Stores Ltd. Dabur will invest Rs 140 crores by 2010 to establish its presence in the retail market in India with a chain of stores on the Health & Beauty format. 2008 - Acquires Fem Care Pharma - Dabur India acquires Fem Care Pharma, a leading player in the women's skin care market. Besides an entry into the high-growth skin care market with an established brand name FEM, this transaction also offers Dabur a strong platform to enter newer product categories and markets. 2009 - Dabur Red Toothpaste joins 'Billion Rupee Brands' club - Dabur Red Toothpaste becomes the Dabur's ninth Billion Rupee brand. Dabur Red Toothpaste crosses the billion rupee turnover mark within five years of its launch. 2010 - Dabur acquired 100% equity in Namaste Lab - Dabur acquired 100% equity in Namasté Laboratories LLC of the US for $100 million. This marks Dabur's entry into the fast-growing ethnic hair care products market in U.S., Europe and Africa. 2011 - Dabur launches its first-ever online shopping portal - Dabur India Ltd. launches its first-ever online shopping portal www.daburuveda.com With this, Dabur is the first Indian FMCG company to launch a dedicated online shopping portal for its beauty products range. The portal will be the online gateway for consumers to know, understand, buy and gift the exclusive Dabur Uveda range of skincare products. 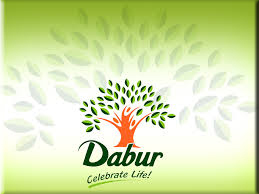 2012 - Dabur crosses Billion-Dollar turnover mark - Dabur India Ltd surpassed the Billion-Dollar Turnover mark during the 2011-12 fiscal to end the year with Net Sales of Rs 5,283.17 Crore.